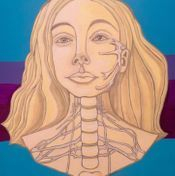 Thanks to all who participated or voted in one of our Anatomy Art-a-thons! 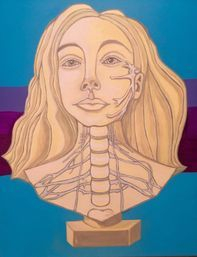 To submit a piece for the next Anatomy Art-a-thon, please email us here with a picture of the piece, your name, medium used, your age (if under 18), and any contact information you would like posted with your piece. Voting cycles will be held every 6 months. First Place - 1437 Votes! Second Place - 780 Votes! Third Place - 191 Votes!